The Ali Forney Center has officially opened its new LGBTQ youth homeless residence – the Bea Arthur Residence. The event took place on Nov. 30, and many notables were on hand for the opening of the 18-room facility in the Lower East Side of New York City, including the late actress’s son, Matthew Saks, and her grandson, Brody Saks. It will help LGBTQ youth transition from homelessness. 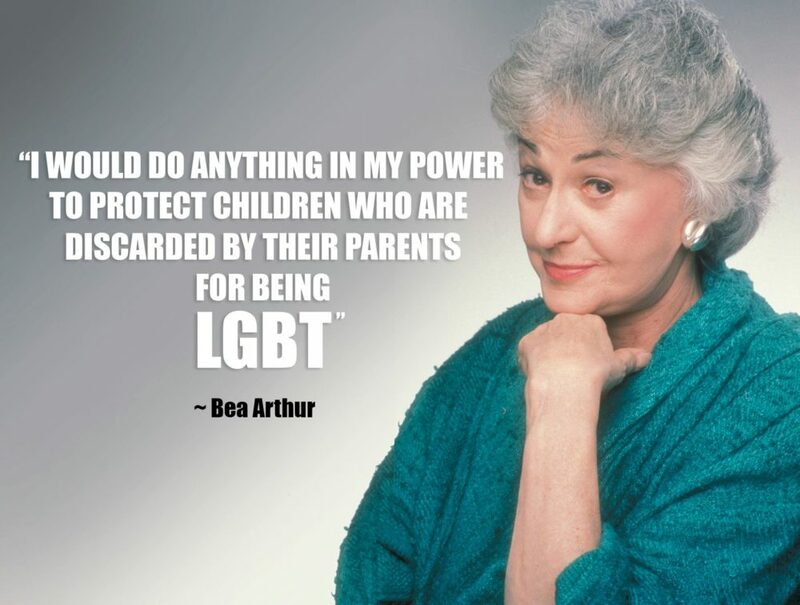 The actress, best known for her co-starring role on The Golden Girls, was a big supporter of the LGBTQ community during her life, with a benefit performance of her one-woman show, Bea Arthur on Broadway: Just Between Friends, bringing in $40,000 for the center in 2005. When Arthur died, she bequeathed $300,000 to the shelter. To support the Ali Forney Center and learn more about the organization, click here. Lovely lady, though I only knew her from 'Golden Girls' and the film version of 'Mame'. I see now that her TV work/appearances over many shows was considerable, most of whose titles I don't recognise so they probably didn't make it to over here. Still, sweet memories.